Fariba is a 46-year-old psychologist and a mother of three. She graduated from high school with honours but was barred from attending university because of her religious beliefs. Her youngest daughter is 14. I know her through her son, who studied for postgraduate qualification in the UK. Mahvash, 55, was a school principal before she was dismissed from public education. Vahid, 37, is an optician. He has a nine-year-old son. I am a parent too. Parents need to be with their children, not separated from them on the basis of prejudice and hatred. The “seven friends in Iran”, as they were known, were arrested in dawn raids last spring. Since that time, they have been detained without charge in Tehran’s notorious Evin prison. No evidence against them has been brought to light, and they have been denied access to their legal counsel, the Nobel peace prize laureate Shirin Ebadi, who has been threatened, intimidated, and vilified in the news media since taking on their case. Along with four of their colleagues, their lives may now be in danger. This week, it has been reported, will see a case against them sent to the revolutionary court in Tehran. 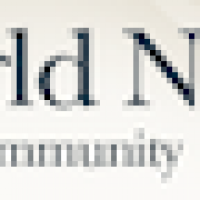 They are accused of “espionage for Israel, insulting religious sanctities and propaganda against the Islamic Republic”. Such spurious allegations against the Baha’is are not new – but they are extremely serious. Even during the years prior to 1979 under the Shah, history has sadly shown that when Iran feels threatened, it inflames deep-rooted prejudice against Baha’is and other religious minorities to mobilise mass support. The Iranian government is well aware that, as articles of faith, Baha’is honour Islam as a divine religion, are obedient to the laws of the land and do not engage in political activity. The presence of their world headquarters in modern-day Israel is an historical consequence of the Persian and Ottoman authorities themselves banishing the faith’s founder to the penal colony of Acre, 80 years before the state of Israel was formed. Sixty years after the adoption of the Universal Declaration of Human Rights, this case alone belies a contemptuous, continuing abuse by a sovereign government against one of its minorities. While such targeted violations are taking place within the context of pressures over all civil society organisations in Iran – including students, journalists, women’s rights activists, lawyers groups, health practitioners, trade unions, and even the British Council last week – those against the Baha’is give rise to particular concern because of the systematic pattern of violations that are so regularly been resuscitated against them. Non-discrimination on the basis of religion is fundamental to human rights. Freedom of religion or belief was recognised in international law long before the declaration, in 1948. It was subsequently captured in article 18 of that document, and expounded in article 18 of the International Covenant on Civil and Political Rights, which the Islamic Republic of Iran has ratified. Non-discrimination is also upheld in tens of other international and regional standards, and indeed in Islamic law and custom as well. Freedom of religion or belief upholds the right of all, including the Baha’is in Iran, to have and to manifest the religion of their choice in worship, observance, practice and teaching. 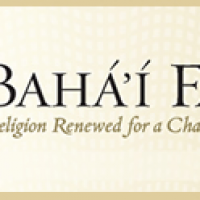 According to the 1981 UN declaration on the elimination of all forms of intolerance and discrimination based on religion or belief, this implies the possibility of observing Baha’i holy days, the full operation of community life, teaching and education of the Baha’i faith in Iran and the free choice of all to join or leave its membership, the communication of Baha’is with their co-religionists inside and outside Iran and their establishment of community and charitable institutions. More pertinent to this present case, the freedom to train, appoint, elect or designate leaders is recognised, with the objective of facilitating for religious groups the conduct of their affairs. Yet further rights accrue due to the fact that Baha’is constitute a minority community, and in order to facilitate their continuity, development and full participation in society. All of this could, sadly, not be more distant from the daily reality of the lives of Iranian Baha’is. As a UN expert committee once noted, even the dead in Iran cannot rest in peace. Baha’i cemetery desecrations don’t just go unheeded, they take place under government supervision. 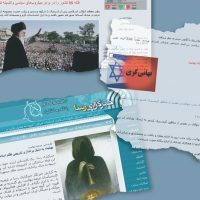 Over 200 articles in the Kayhan over the past two years have attacked every aspect of the faith’s history, personalities, beliefs and community life. Such messages are reinforced on television, in mass marches and in Friday sermons. Under government tutelage, the media serves to endanger their already highly curtailed existence. The Baha’is have found a degree of solace and relief from the growing number of expressions of solidarity they receive from Iranians in the diaspora and even within Iran, the vast majority of whom are Muslim. Recently, a group of Iranian intellectuals, promoters of justice and champions of freedom, published an open letter in which they stated that, as Iranians, they were ashamed of the oppression perpetrated against Baha’is in their homeland. Within Iran itself, where defiance of the ideology of the government risks dire consequences, there are increasing incidents of Iranian Muslims challenging the mistreatment of their Baha’i compatriots. Students and schoolchildren have protested at the expulsion of Baha’is from several educational institutions, part of a government-sanctioned policy to deny Baha’is access to education purely on grounds of their beliefs. Even senior figures in the Shia religious establishment, notably Grand Ayatollah Montazeri, have stated publicly that Baha’is should have the rights of citizens and to live in Iran. Meanwhile, seven innocent people are among the many awaiting judgment in Iran on their fate. Far from being a threat to state security, the Baha’is of Iran are deeply committed to the peaceful and prosperous development of their country. The facts demonstrate that they are persecuted purely for their religious beliefs. Time and again, they have been offered their freedom – and in some cases, their lives – if they recant their faith and convert to Islam. For more than a century, Baha’is have preferred to face the most extreme punishment rather than deny the very principles that guide their lives. They should not, however, be required to make that choice. Please, let us not have another Ashura. Fear can just vanish like darkness at dawn. Let us not have yet another day of remorse for having failed to arise and be counted.